Where Can You Go to Make Sure Your Domain Name is Completely Unique? When it comes time to choose a domain name for your site, you need to make the best possible decision. This is a choice that may seem trivial at the moment, but will go on to have great repercussions for your business. For example, if you choose a name that links in with a current fad, it may get lots of traffic in the short term. However, depending on the life of the fad in question, you may find searches for your site cooling off as time goes by. Choosing the name for your official business website is only one of several important decisions that you will need to make. When it comes to choosing your name, it needs to be something that is short, snappy, easy to spell, easy to pronounce, and easy to remember. In addition, it needs to be completely unique. You don’t want to choose a name that is too similar to one that another business is already using. Spending your time dealing with a copyright infringement lawsuit is a bad way to start off in business. Where Can You Go to Make Sure Your Domain Name is Not in Use? You can use a domain name registry on the internet to make sure that the name you are considering using for your business website is not already in use. 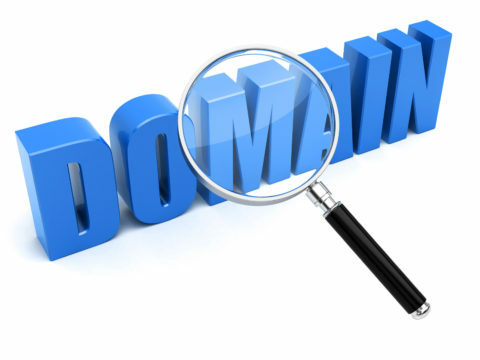 You can check available domain names at any number of locations. It’s important to keep in mind that you also don’t want to compromise on the quality of your name. If it is already in use, pick something that is completely different. A competitor may have also snapped up all the names that are similar to their own site in order to ward off copycats. Perhaps your final concern should be to make sure that you retain all rights to the name that you register. You don’t want to be forced to change your domain name in the event that your domain hosting deal expires with your current provider and you choose to move on rather than renew it. It’s a good idea to review the contract that you are offered by a prospective provider to make sure that you don’t sign away the rights to the name that you decide on. In the end, choosing the right name for your domain should be a matter of simple common sense. It’s crucial to choose a name that feels right to you. You want to be able to be proud of your business and the name that it comes under. Make sure that you choose a name that is as evergreen as possible so that you can still say it with pride in years to come. Mgkanu na po young naihulog ko sa sa sss contribution,self employed po ako.salamat po,asahan ko po ang inyong agarang pgsagot sa aking katanungan.